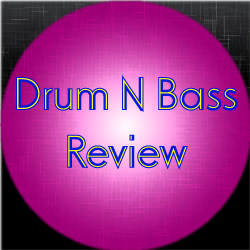 This review covers the liquid drum n bass track Redemptive – Within Nature (Original Mix). This track was released in 2015 as part of an EP. There are two other tracks in this release. The track starts with a filtered drum kit along with a synth effect. This already makes the track interesting because the two different sounds occupy completely different parts of the frequency spectrum. Of course, the track doesn’t stop there and throws in some other effects as well along the way. This certainly adds some strength to the track very early on. A lot of the other elements are also filtered down along with the drum kit. The automated filter gives a sense of progression before the track finally goes into a full drum n bass sound. I have to say, this already makes me excited for the rest of the track already. When the bassline comes in, there is a certain amount of warmth which indicates that this very likely is going to be a more laid back track. Given the eclectic nature of the track already, this is actually a surprising turn. When the drop hits, a number of the sounds do pull back, but a cowbell sound sticks around to fully lead the listener into the drop. The track does drop all the way down to the point where there is just a few pads and a synth left. Eventually, the cowbell sound returns and is joined by the bassline. After this, the full drum kit returns, getting the track into gear. Personally, even for a chilled out track, I’m not a huge fan of how this track comes back because the auditory range is somewhat limited. It might have been better to more gradually bring in the bassline rather than have it come in all at once, but that’s just me. The track continues along with the eclectic sound. This is a pretty good sound. It’s complete with effects, small synth melodies, and arpeggio sounds. Eventually, there is a second drop and a very low chord leads the track through to the next build up. Eventually, the track goes back into the main sound. Despite the repetitive nature of the main sound, I’ll give that a pass because it is, after all, a chilled out track. I would normally say that this track could use some more progressive elements, but I’ll make an exception here. After this, the track does nicely breakdown, leaving a pad and a sweep before the track fades out completely. Given the overall themes this track goes for, I thought the layering of a higher kick with the snare was a well-played production move. It gives the track a hint towards a more primitive sound, so this works quite well. Another thing I thought was quite interesting is that eclectic sound. I often hear this type of sound in psytrance tracks. To hear it in a drum n bass track is actually quite interesting. I found it worked quite well and gave the track a nice relatively unique sound. As a result, this track has qualities to help make it stand out nicely. One thing I will say is that, while there were various nature sounds in the track, I found them to be a bit on the subtle nature. One thing I thought might have improved things is to incorporate a few more natural sounds. A great one is some sort of distant thunder. Nothing that would be overwhelming in any way, but enough to be recognizable. Another idea would be some birds chirping during a drop. Either idea would really help punctuate that natural sound that seems to have otherwise taken a back seat here. Generally speaking, this is a pretty solid track. While the natural sounds were a bit too subtle for my tastes, there are still plenty of things to enjoy about this track. The initial build-up and the eclectic sounds really work in this tracks favour. If you are looking for a laid back track, this is definitely a good candidate for your playlist. Worth checking out.